Doyne Farmer and I read two different metaphors from the biological / evolutionary analogy that George Dyson has advanced. ... Farmer seems to believe that software and especially operating system standards are not only necessary and useful but also that they are as static as a utility grid. I view utilities as entities that occupy difficult-to-acquire land, accommodate expected future growth, that operate at a very high level of efficiency (well over 50% and probably more like 95%), and where technological advances (superconduction, or hydrogen-economy) would not be expected before the investment is completely amortized. Similarly old-time telecommunications operated in the difficult-to-acquire lower frequencies, and until recently did not have serious technological competition. Government created and government enforced monopolies (such as AT&T was until recently) required government regulation. 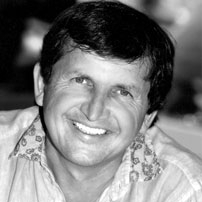 CHARLES SIMONYI is Chief Architect, Microsoft Corporation, where he focuses on Intentional Programming, an "ecology for abstractions" which strives for maximal reuse of components by separating high level intentions from implementation detail. I don't think that the connection that George Dyson has made between cells and operating systems is far fetched at all. In any case it doesn't really matter; the key point is that there are enormous advantages to having a standardized platform that all applications run on, and it is bound to happen. I agree that the implications and consequences of this monopoly are much more far reaching than Rockefeller's control of the oil industry. This is much more than a monopoly — it is control of society's replication machinery for ideas. J. DOYNE FARMER, the co-founder and co-president of Prediction Company in Santa Fe, New Mexico, is one of the pioneers of what has come to be called chaos theory. Farmer was an Oppenheimer Fellow at the Center for Nonlinear Studies at the Los Alamos National Laboratory, and later started the complex systems group, which came to include some of the rising stars in the field, such as Chris Langton, Walter Fontana, and Steen Rasmussen. In addition to his work on chaos, he has made important theoretical contributions to other problems in complex systems, including machine learning, a model for the immune system, and the origin of life. To me, this makes it vital that the government step in and block Microsoft from gaining absolute control. If this were a public domain, free-ware product such as Linux, this would be a different story. Nobody complains about UNIX because it is not really a commercial product. But to give total control of such a key element of society's information processing apparatus to a private company is very dangerous. Even if the government is likely to be inept, they are at least subject to the checks and balances of a democracy. Ineptness is the conservative course of action. Of course it is true that this is much more than a monopoly, and the anti-trust laws were not designed to deal with this kind of thing. But laws are just like blocks of DNA code: In typical evolutionary style, entirely new, fully formed parts are rarely created from scratch; rather, existing parts are adapted to perform new functions. An analogy is the endangered species act: What is really needed is an "endangered ecosystems act", but since no such thing exists, environmentalists stretch the endangered species act to its limits in an efort to make do. George's analogy breaks down because the innovation mechanism for memes is not random variation — it is conscious design. It is one thing to settle on a standard mechanism for replicating RNA — and entirely another to give this control to a consciously directed, profit making entity. Doyne Farmer and I read two different metaphors from the biological / evolutionary analogy that George Dyson has advanced. Farmer seems to believe that software and especially operating system standards are not only necessary and useful but also that they are as static as a utility grid. I view utilities as entities that occupy difficult-to-acquire land, accommodate expected future growth, that operate at a very high level of efficiency (well over 50% and probably more like 95%), and where technological advances (superconduction, or hydrogen-economy) would not be expected before the investment is completely amortized. Similarly old-time telecommunications operated in the difficult-to-acquire lower frequencies, and until recently did not have serious technological competition. Government created and government enforced monopolies (such as AT&T was until recently) required government regulation. My view of Dyson's analogy is that the standards are necessary and useful but they are as dynamic and as ephemeral as what I jokingly surmised the first "eleven" steps of the creation of DNA must have been. Compared with the utility, there is no limited resource of any kind, future growth is expected to be exponential, efficiency (measured against theoretical limits of performance) is very low (yes, I believe that), and the product will be obsolete relatively quickly. So in this sense it is important to locate ourselves in the evolutionary map: are we at some pinnacle where we are so flush with our incredible luck that we crave security and conservatism, or are we at the bottom of "mount improbable" (to borrow Dawkins' phrase) where we feel good about the progress but want more. I submit the latter is the case in software. Look at the movie 2001: we are not even 5% there. Until a few years ago the government was worrying about DOS. The biggest problem with nationalizing Windows would be having to use Windows 98 in 2010! Windows 98 will be obsolete in a few years. It will be replaced by a Microsoft product, if we do our job right, or by a competitor's product if we don't. Or do you really believe that millions of consumers would shun brand X's superior voice-recognizing natural language based operating system because of some former network efficiency? One alternative to nationalization that is proposed is to "regulate" software development because of the control software producers have. I have to admit I am unsure what is meant by control: I understand the control the utility company exercises: I can not trespass on their right-of-way to build my transmission lines, I can not send energy or even signals up or down their lines, and if I do not pay my bills they shut off the supply at my doorstep, and there is only one line to the house. Now software is a simple one-time transaction: you pay the bill, you get the license for the bits on the diskette, very much like a newspaper. You can keep it, run it, replace it. It will do what it does forever, it will never be shut off. And many can and will write software at the least provocation and incentive, for example a Finnish hacker called Linus Torvalds (who wrote Linux). How the software can control anything that YOU the user did not explicitly put in charge of, has always escaped me. Now I understand the general lament that YOU feel obligated to have to put it in charge of things and YOU feel obligated to update to a newer version because that is how network efficiencies work out and that you may resent that obligation. But are your feelings of obligation absolute? If the competition saved you money, offered you a box that was more stylish, had a friendlier user interface, more direct or wider access to the Internet, and it handled data formats which mattered to you the most, would you still go for some abstract network efficiency instead? Of course not: but in a sense network efficiency IS having all those things, so I am not denying that network efficiency exists, just claiming that network efficiency is not different than customer satisfaction and therefore that network efficiency can not be maintained by ANY other means than by maintaining customer satisfaction. That is a kind of control, and a legitimate one. The large market share some software enjoys is very similar to the extreme popularity of a relatively few entertainment and sport stars which started when broadcast radio and broadcast TV became available. See "When Winners Take All", The Economist, November 95. In case of entertainment, it is not argued that popularity somehow implies control and that it may be unrelated to performance. Yet the same kind of mechanisms are at work: the second best in any category gets nonlinearly less attention if the supply of the best is unlimited as is the case in broadcast media. The question is how to achieve this standardization. To what extent and in what manner should it be regulated? Here we are necessarily thrust into politics, as government is the mechanism that society normally uses for regulation. Regulation is necessary in situations where the incentive mechanism of capitalism fails to do its job. Global warming provides a good example. There is no incentive for a corporation to address the problem of global warming on its own. Action in this area will necessarily have to be driven by governments. Arguing for government regulation is by no means arguing against evolution. Governments have evolved through precisely the same cultural evolution mechanisms that have created everything else in our society, from financial markets to computer software companies. Governments may be imperfect and inefficient, but they play a very important role. I'm sure we all have opinions about how government could work better than it does. But I doubt that any of us want to argue that we want it to go away completely. There are many historical examples where too much government has caused problems, but there are also many examples where too little has caused problems. This is all to say that arguing for a larger role of the government is not per se in any sense to argue against evolution. It is a matter of judgement to say what level of government will produce the best results in the future of evolution of culture in any particular situation. Nor would I in any way suggest that we are at some kind of evolutionary pinnacle. This is silly. It has nothing to do with the point I am trying to make. The anti-trust laws were developed precisely to deal with a situation where capitalism breaks down. When one company gains exclusive control over any given good or service the mechanisms of competition that normally regulate capitalism are removed. In this regard the problems with monopolies in oil or matches are very similar to the problem of a monopoly in computer software. Only as George Dyson has pointed out, the stakes are even higher. There are many examples, such as telecommunications, where the government plays a an important, and I believe necessary, regulatory role. My wife, Letty Belin, happens to run the division of the New Mexico Attorney General's office that regulates our telephone and utility companies. So I have heard some horror stories about the things these companies would do to the consumers were it not for the regulatory oversight of the government. Again, these companies are singled out for regulation by the government because they are monopolies. As I mentioned before, there is a fundamental difference between cultural and biological evolution: Where the innovations in biological systems are generated by random variation, in cultural systems they are based on designs originating from groups of human beings. On thinking about it some more, however, I don't think this is the main point. Perhaps more important, in nature there is no global entity whose survival is enhanced every time a DNA molecule replicates. I don't disagree that in some analogy cells can be viewed as profit making entities. But they don't have to give energy to "MicroWet" to reproduce themselves. The code that they use to replicate is, so to speak, in the public domain. All organisms use it, they own it themselves, and no species can lay any special claim to it. So, in response to the issue at hand, I am stating a political opinion. I see the need for standards. They will happen no matter what we do. But because of the dangers and known problems with exclusive ownership of standards, this is an area where I want my government to perform the regulatory function that it has evolved to perform. I don't doubt that they will do this in a less than optimal manner. But I think this is a situation where imperfection is better than nothing. I don't know what the right approach to this particular problem is; my guess that the right answer is not to break the monopoly up, but rather to regulate it, as we already do for telecommunications and utility companies. In the long run, I think we all agree that we do not want the internet to get stuck in a local maximum. The question is how to avoid this. My opinion is that giving exclusive control of the replicating machinery to a profit making entity without any regulation would have a very negative result. I don't disagree with a lot of what Charles Simonyi says. It is disturbing that he imputes and distorts what I believe in so often, e.g. "Farmer seems to believe that software and especially operating system standards are not only necessary and useful but also that they are as static as a utility grid." Excuse me? I didn't say anything like this, and it is a giant distortion of anything I did say. I never claimed standards were static, or any such silly thing. This doesn't mean that dynamic and evolving standards don't exist; WindowsXX, provides a good example. This is reminiscent of the standard joke: Question: "What will the computer language of 2010 be?" Answer: "I don't know, but it will be called Fortran". To get at the meat of what is going on here, I think we need to discuss the specifics of this particular situation, which I don't think is very complicated. "Control" for a software provider comes about when they have such a large fraction of the market share that a large fraction of software products run only in that software environment. For example, at the moment I am stuck using Windows for some purposes because the only terminal emulator that can really keep up with Xwindows, GoGlobal, runs in Windows and not on a Mac. This product is not better because it is running on Windows; rather, it just isn't worth it for them to write a version for other operating systems with much lower market share. If there were a viable non-Windows alternative I would take it. Its dominant market share forces me into a situation where dealing with Windows is unavoidable unless I am willing to take a sacrifice in performance. Fine. This is one of the rewards reaped by Microsoft for getting the dominant market share. What is bothersome is when that same company begins to use its monopolistic position to its advantage by doing things like bundling their own net browser, and making it difficult to use other net browsers. I don't deny this is a smart business tactic — if you can get away with it. But I don't see how one can argue that it helps consumers. Okay, you say, the browser is free. But not really — why couldn't you just lower the price on the operating system and sell them separately. (Answer: This wouldn't help Microsoft get the business away from Netscape). From a distance, it looks like the classic tactic used by a monopoly to strengthen its position as a monopoly. Use the monopoly to lower the price, drive the competition out of business, and then raise the price again. Monopolies have a long history — this strategy has succeeded many times, for matches, oil, and many other "non-government created" monopolies, and without government intervention would have gone on working, to the detriment of the consumer. To an external observer this interpretation of the microsoft situation just seems like common sense. But perhaps I am missing something. No one is talking about "nationalization" when a judge rules that Microsoft has to unbundle their net browser. It is just a simple regulation of a monopolistic business practice. And I don't think it hurts anyone, except Microsoft. I don't begrudge Microsoft their large market share, or even their attempts to take advantage of their monopoly. But what bothers me is the disingenuous whining and moaning about how unfair and backward the government is when they enforce the laws that have been created to prevent just the kind of scam that they are attempting. To bring this back to the theatre of evolution, I think that what the government is doing is precisely what is needed to keep us out of the evolutionary rut that exclusive dominance of everything in the software business by Microsoft would drive us into. I recall your example of utilities as an area where government control is important. I extrapolated that you might think that utilities and operating systems share some traits since you imply that the arguments are transferable otherwise the example would have been irrelevant. I admit I have never heard of the match monopoly. I am naturally interested in the fiendish devices they must have used to coerce the public into buying their monopoly matches and to frighten away the competition from dipping pieces of wood into phosphorus. :-) I must also add that in my elementary school I was told that safety matches were, yes, a Hungarian invention. Your message then departs from the evolutionary issue and becomes a straightforward restatement of the DOJ's anti-Microsoft case which has been rebuked recently in large part by the Court of Appeals. The details are on the net (e.g. microsoft.com/presspass/doj lists all the rulings). Maybe you are against bundling but accept the need for integration of needed functionality - then you would be agreeing with the Microsoft position. DOJ is against bundling, claims - wrongly, according to the Court of Appeals - that we bundle, and just to be on the safe side they are also against integration, i.e. extended or evolved functionality, too. We admit to having committed integration and claim that it is good and legal. And evolutionary. Where do you stand? My memory of the match monopoly is dredged from a high school social studies class. I only remember that there was someone who was called "The Match King" who managed to corner the market, I think around the turn of the century. A trip to my Encyclopedia Britannica fails to help on this point. However, it does offer the Swedish as the inventors of safety matches (1844), and credits an American, William Gates, Jr., as the inventor of the first mechanized match manufacturing machine! Looking up monopolies is even more interesting. They point out that "corners and combinations were prohibited by the most ancient laws of China, India, and Babylonia". They then trace the history of monopolies and their regulation from Greece, Egypt, and Rome through medieval times and this century. Particularly interesting is the discussion of the emergence of monopolies in the US in the last part of the 19th century. Apparently it was originally impossible for US corporations to own stock in other corporations, which suppressed the formation of monopolistic combinations. But in 1882 Standard Oil figured out a legal maneuver getting around this, and by 1990 monopolies were widespread; they mention sugar and distilling as examples. This makes it clear that the emergence of monopolies is very sensitive to the nuances of the legal structure and in particular the legal definition of a corporation. It is also clear that monopolies and their regulation by governments are almost as old as commercial civilization, and the proper way to regulate monopolies has always been controversial. So the debate we are having is nothing new. Regarding the Microsoft situation, my only assertion is that there is a proper regulatory role for the government. The mere fact that there have been a series of court cases puts heat on Microsoft not to take advantage of their dominant role to squash all the competition. Personally I am quite happy with integration as long as the hooks are made available so the competition can integrate their products as well. I don't know if the appellate court agreed with me on this, but the fact that the decision went first one way and then the other illustrates that it is not a simple issue. It seems that Microsoft is just the latest chapter in a 4000 year old debate.